Perennial is a plant that lives more than one year in life. Most perennial plants live up to 3 to7 years in their life span. Perennials may have a short life span due to drought, nutrition, disease, or bug damage to the plants. Mowing or haying of perennial plants will be needed to keep the plants from going into a reproductive stage (forming seed). Our two perennial food plot mixes should only be mowed when flowers or seed heads start to appear in the mix or roughly every 30 days after establishment year. 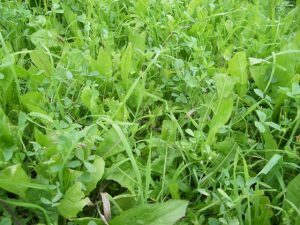 When mowing perennial mixes do not mow shorter than 4-5 inches for a faster regrowth and healthier plants. The new and tender regrowth will be more palatable and sought after from deer. 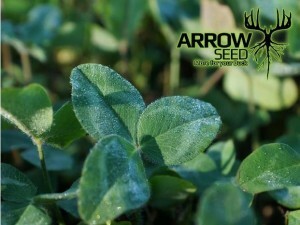 Arrow Seed does NOT recommend the planting of annual species like Turnips, Radishes, Kale and other similar products in with your perennial food plots. These type of species will hinder the establishment of a perennial mix. The second year of a perennial plot that had annuals such as turnips in them will now have gaps from where they died. And that is a easy way for weeds to move in and to decrees the life expectancy of your perennial food plot.